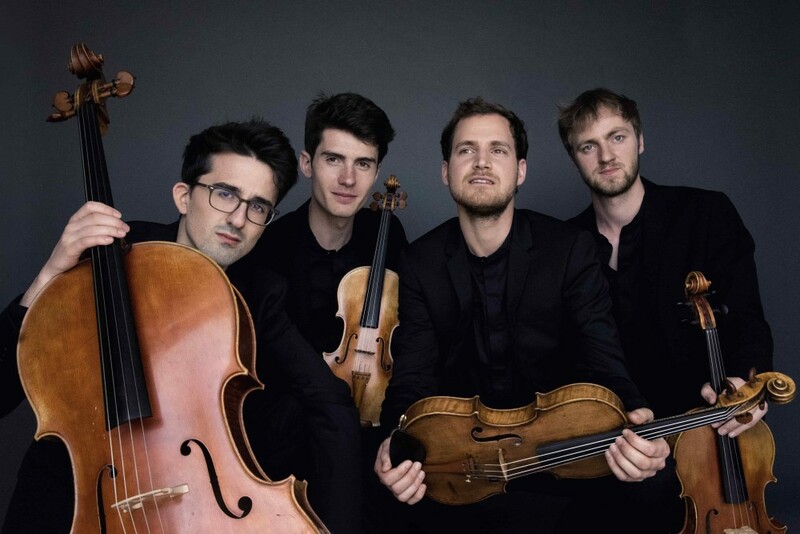 It is their love for Berlin that brings these four passionate members of the Quatuor Agate together for the first time. 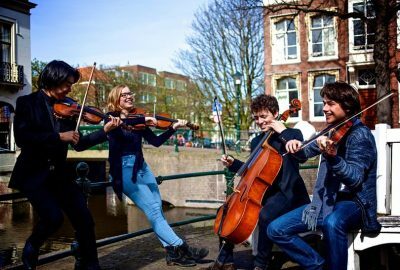 These young musicians, native of the South of France (precisely Marseille, Toulouse and Bordeaux), found in Berlin the ideal environment for their natural curiosity. They share an enthusiasm for bold, alternative, even underground projects and in 2016 decided to set up the Agate Quartet to explore together their musical passions. They have extensive and varied musical experience: from solos to chamber music, including an experience in the prestigious Berlin orchestras, but finally found in the quartet’s repertoire an infinite source of expression and inspiration. 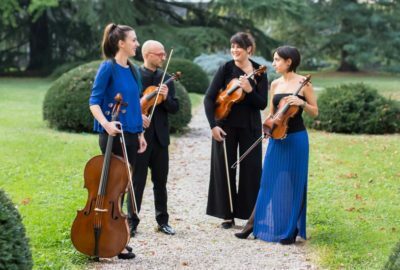 The Quatuor Agate organized the first CorsiClassic Festival in 2016 all around Corsica, with the mission of promoting chamber music in areas where classical music is rarely available. Having all been through the CNSM (Conservatoire National Supérieur de Paris), they went on to study another two years at the Hochschule fur Musik “Hanns Eisler” in Berlin with Eberhard Feltz. This double French and German influence is a constant source of inspiration for all the musicians. 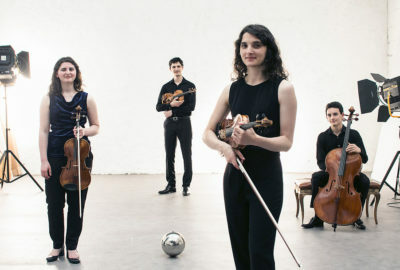 In 2018 the Quatuor Agate moved to Paris to study under the guidance of Mathieu Herzog, former violist with the Ebène Quartet. It also joined renowned chamber music academies such as Musique à Flaine and the Spring International Chamber Music Course Hanns Eisler with teachers such as Tabea Zimmerman, Gerard Schultz, Christoph Poppen, the Ysaye and the Vogler Quartets. In the same year, they performed at the Melbourne International Chamber Music Competition and attended the McGill String Quartet Academy (MISQA) in Montreal. Adrien Jurkovic plays on a Giuseppe Giovanni Guarneri violin loaned by Dr Peter Hauber. Thomas Descamps plays on a Charles Coquet violin. Raphaël Pagnon plays on a Friedrich Albert viola. Simon Iachemet plays on a Patrick Robin cello.